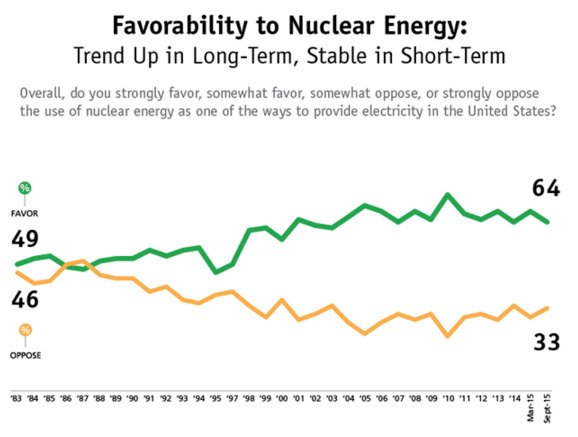 ・・・Eighty-four percent of Americans—once informed that nuclear energy produces nearly two-thirds of the nation’s low-carbon electricity—agree that nuclear energy “should be important in the future,” according to the telephone survey of 1,000 adults. 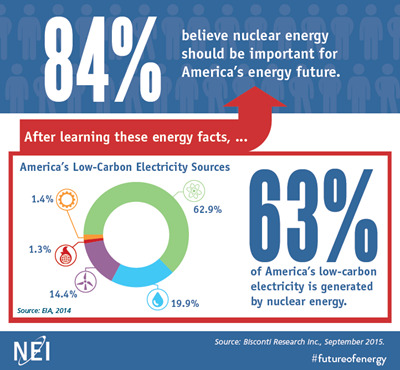 Fifty percent say it should be “very important.” While the survey found that 73 percent associate nuclear energy with clean air, only 30 percent knew beforehand that nuclear energy is the largest source by far (63 percent) of America’s low-carbon electricity. 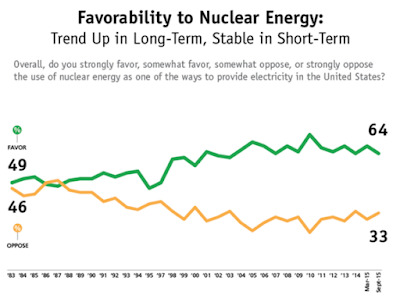 ・・・Sixty-four percent of those surveyed said they favor nuclear energy, including 26 percent who “strongly favor” it.